Our single tank bath with powder coated galvanised trolley. 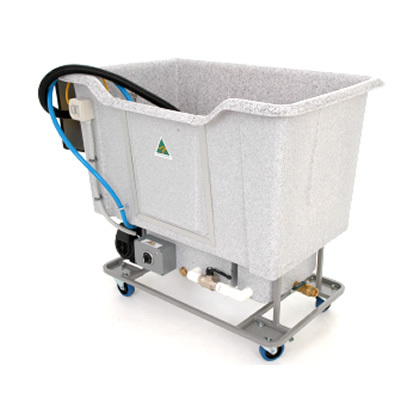 Single tank (30 liters), sliding door, heater, adjustable thermostat, filter, auto fill. Designed for the budget conscious. The tank is emptied and refilled between washes. 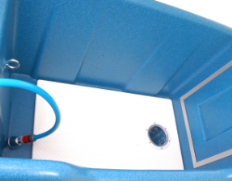 Great for home use with the added benefit of attaching your hose to the auto fill float valve which means you can walk away and come back when your bath has filled. 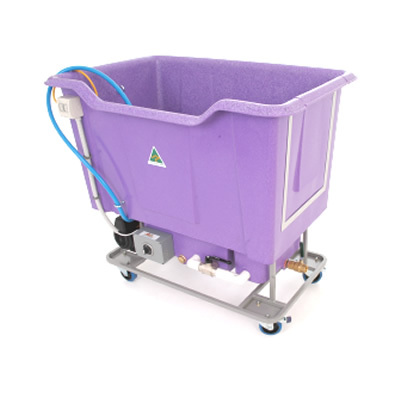 Our budget bath with powder coated galvanised trolley. Single tank (30 liters), sliding door, filter. Designed mainly for the budget conscious. All you need if you have your own warm water supply or your climate does not require the heating of water. Prices are in Australian dollars & include GST. Delivery charges to be priced upon application. 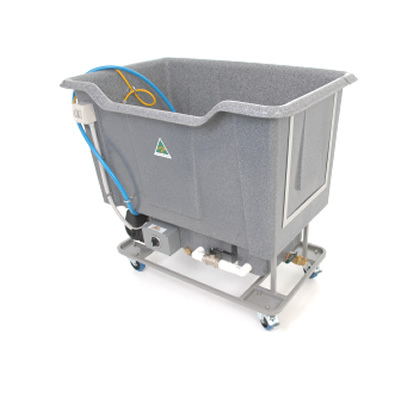 Lightweight galvanized powder coated trolley included on all models. 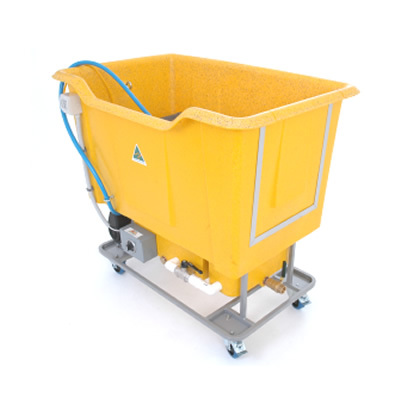 Heavy duty castors with brakes – designed to go anywhere. 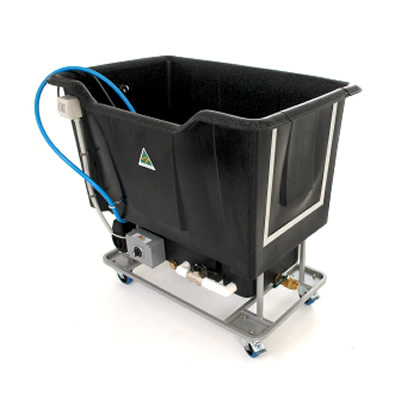 Easy access to all components for service. One piece aluminium curved door design! (Eliminates sharp edges). Fits easily through standard doors and gates. Eyelet in bath to tie dog to. Fully interchangeable and adjustable hand nozzle, provides variable pressure from high to gentle shower spray. 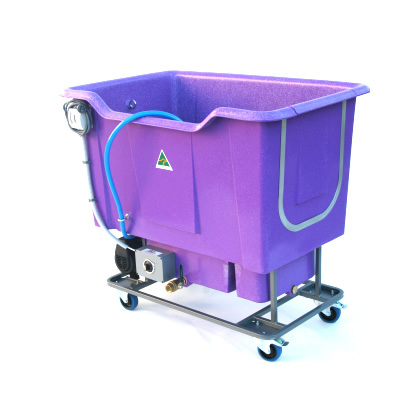 Rotomoulded durable poly bath (UV stabilised high density polyethylene – will not chip, crack or fade). 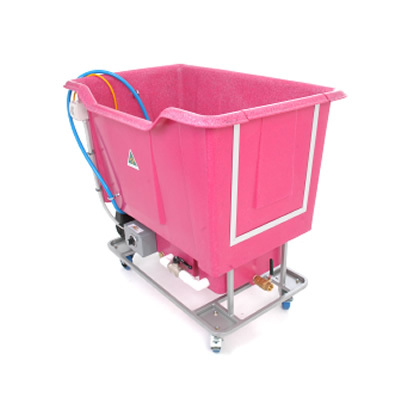 Non-slip polypropylene floor. The strongest on the market. Easy and clean external brass drainage ball valve for releasing used water – no need to put hand in dirty water. Sliding door opening for easy access (right side/end). 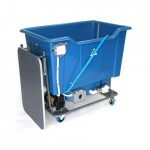 Easy access to pump and element for servicing. 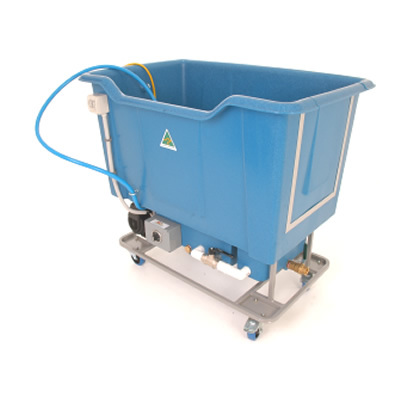 Element Protection Switch (standard with heated baths). Bath insert for small dogs (optional). Made in Australia – two year warranty! Closed vane impellers with full length ‘D’ drive for positive robust impeller drive. 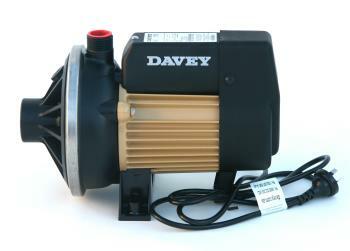 Thermotection will automatically stop the pump should the water in the casing reach 85 degrees celsius and restart when the water has cooled to below 65 degrees. Demand the Best – Demand Davey! The BARF Shop contracts a number of freight companies for shipping of hydrobaths within Australia to ensure that the most competitive quote is obtained. 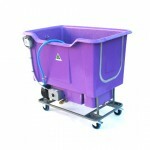 All hydrobath freight charges will be quoted upon application. All other products where possible are posted with Australia Post. Postage charges are calculated automatically for individual small items and the postage cost will be indicated in the description of the product, bulk items (more than one item) and large items will be calculated manually to ensure you are not overcharged postage. Please select quote request when purchasing large items and more than one item online. 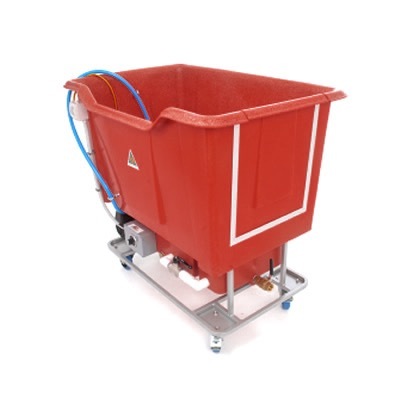 Hydrobaths can be shipped overseas either by sea or air freight. Shipping costs will be quoted upon application. All other international orders will be priced prior to confirmation using Australia Post. All listed prices are shown in Australian Dollars and include a Goods & Services Tax of 10% (GST). International orders are tax (GST) exempt. No returns will be accepted for goods which have been custom made to order. All other goods are subject to the following terms. We reserve the right to replace or repair goods proven to be defective in manufacture; provided that the cost of returning and re-delivering the items in question will be at the customers expense. Goods returned must be in original new condition. Products must be returned within 14 days of delivery date. No refund on freight costs. Add $15.00 for postage Australia wide. Add $17.00 postage Australia wide. Postage rates quoted per order. Select postage quote request when ordering. Add $17 postage Australia Wide. 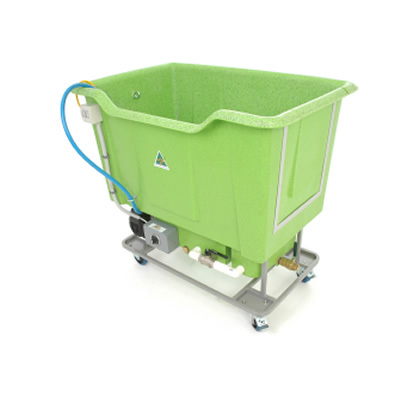 *Add to your Stainless Steel Groomer's Tub order or add $15 freight Australia wide.